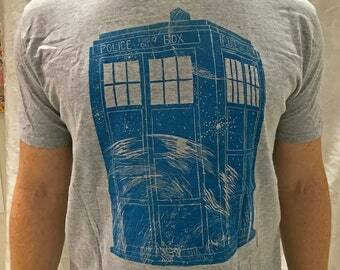 This print is a tribute to one of my favorite shows, Doctor Who. 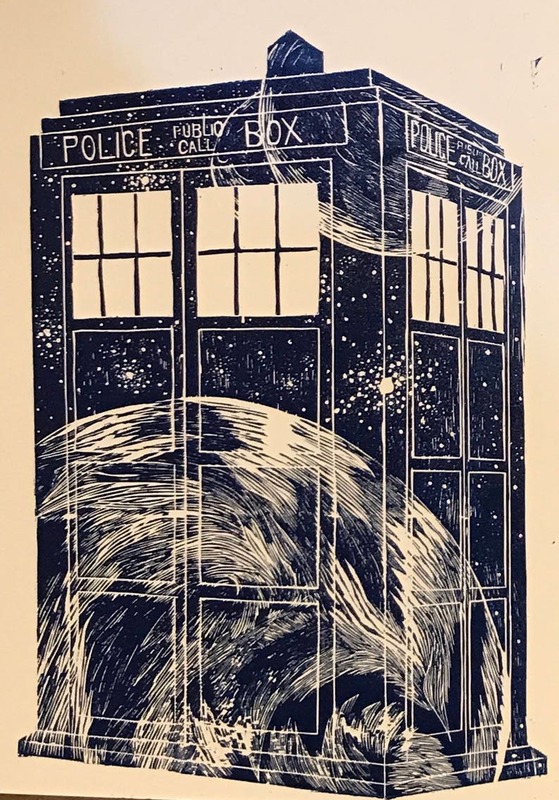 The print depicts a space scene reflecting off of the walls of the TARDIS. It is 11"x 14" and each print is hand pressed and, therefore, unique. Each original print comes numbered and signed on the back.